May is usually a great month for the auction world, and this year is no exception – at least not for art lovers! May 7th marks another special sale at Gray’s Auctioneers which will catch the eye of any fine art enthusiast. Lot 24, a work by William Merritt Chase is one of the auction’s most remarkable ­– the 1875 painting was previously undiscovered. Chase’s Jester Resting on a Chair, 1875 is the delightful highlight of Gray’s upcoming sale and a remarkable addition to Chase’s oeuvre. The May 7th auction also features a variety of important artworks, furniture, and jewelry. "Jester Resting on a Chair", 1875 by William Merritt Chase will soon be available at Gray's. William Merritt Chase (1849-1916) is an American impressionist pioneer and landmark figure in the history of American painting. He was an accomplished portraitist, still-life master, and skilled educator. He started his artistic career in New York, where he studied, and continued his education in St. Louis and later, at the Royal Academy in Munich, Germany. In 1896 William Merritt Chase established a school himself, the Chase School of Art, which became a precursor to one of America’s most prestigious art schools – The Parsons School of Design. To this day, Parsons still educates aspiring artist from all around the world in true Chase spirit. 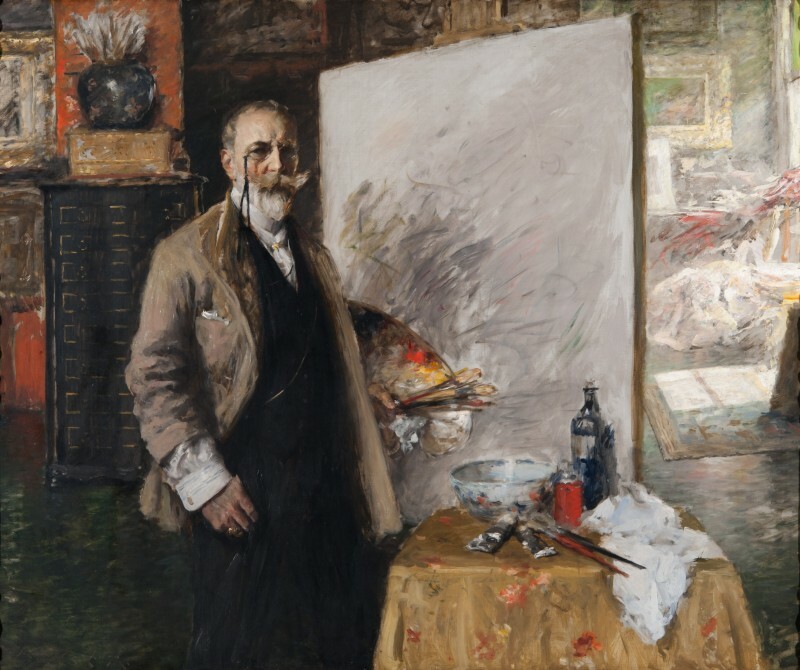 William Merritt Chase, "Self-Portrait in 4th Avenue Studio", 1915-16. Photo: Richmond Art Museum. In order to be a great art teacher, one must master the arts yourself, for which Chase is a great example. The first of Chase’s works to gain great recognition was “Keying Up” – The Court Jester, which was painted in 1875. The rosy-cheeked court jester portrayed in scarlet and gold pouring wine was received with praise and widely exhibited. 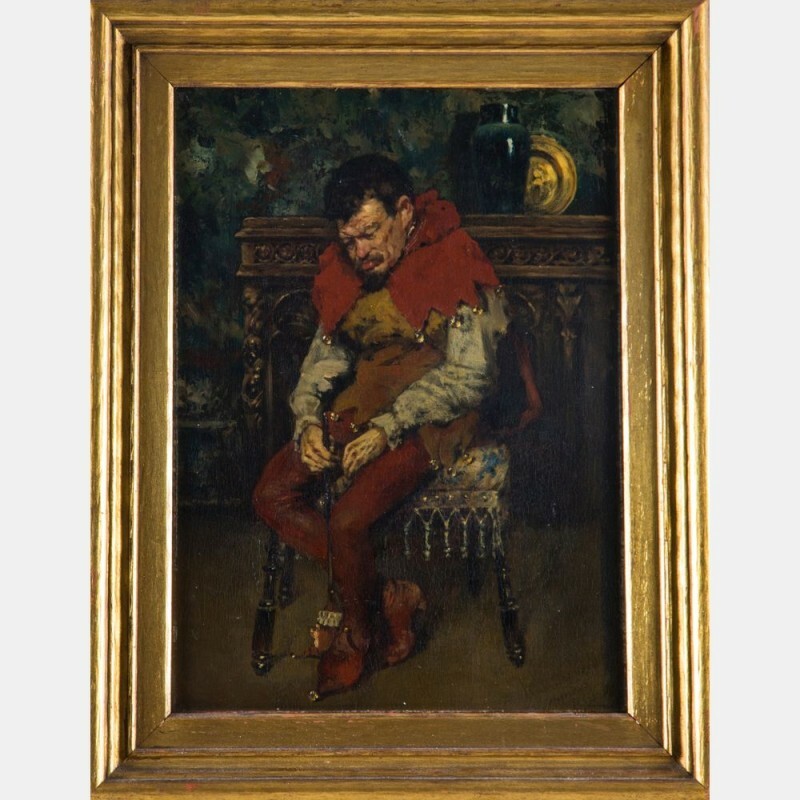 The previously undiscovered Chase work that Gray’s will be auctioning off in May is a work prior to The Court Jester, presumably painted earlier that year and was named Jester Resting on a Chair. The work shows the familiar jester seated, either in crestfallen thought, or perhaps, with the work The Court Jester wine pouring in mind, in the midst of a boozy nap. The jester is sleeping, bauble in hand. 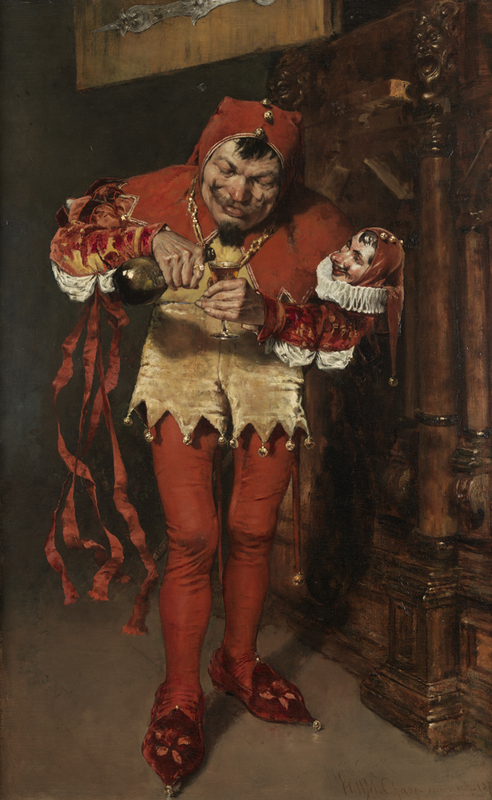 "“Keying Up” – The Court Jester," by William Merritt Chase. Photo: pafa.org. At first sight, one might think that Jester Resting on a Chair is a preliminary study to “Keying Up” – The Court Jester, but signed and dated the work should definitely be considered a finished independent work. Jester Resting on a Chair is a work of art which embodies Chase’s skillful rendering of light, shadow, and color. This previously unknown artwork is without a doubt an important piece of American Art History and a prize for any art collector. Gray’s is open for in-person preview May 3rd -7th; Monday-Friday 10am – 5pm, Saturday and Sunday 12 noon – 4pm. The auction starts at 11am EST on Monday, May 7th with live bidding available at graysauctioneers.com. Gray's Auctioneers also offers telephone bidding and absentee bidding. The catalog is now online at Barnebys. Check out the entire collection of Gray’s at Barnebys here!